Climb your way up to great rewards! Jack and the Beanstalk by NetEnt is a sophisticated 3D video slot take on the classic and much loved children’s fairy tale. 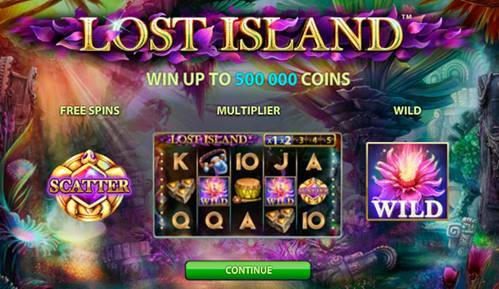 The game features 5 reels and 20 paylines along with a host of special features, free spins and bonus rounds. While this particular game does not feature a progressive jackpot win, it does offer a rather nice non-progressive jackpot totalling a possible 600,000 coins. At max coin size and max bet that is still a hefty payday! As one would expect from the design team at Net Entertainment, the graphics and animations are really top drawer and put this game in the top tier of must-play games at any one of our top recommended online casinos. While the game is very easy to play and even easier to get into, we decided to do a full Jack and the Beanstalk review here and you can read all about the different game icons as well as their role and value in the game, watch the additional video and read up on technical aspects including bonus triggers and much more. Be sure to check out our entire Jack and the Beanstalk casino reviews on our review page as well as in-depth reviews on bonus offers currently available. If you are ready to dive head long into this exciting and fun 3D adventure slot, then take a look at our top 5 recommended casinos where you can play Jack and the Beanstalk as well as many other top rated slots. We choose only the best online casinos offering excellent bonuses, free spins and no deposit bonuses. 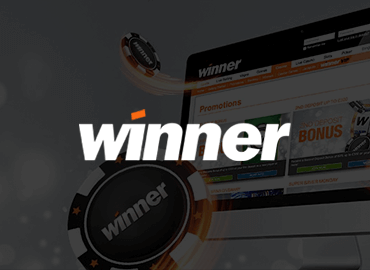 We take our players votes which offer a real world point of view as a main indicator of an online casino’s worth, we then add our own in depth analysis of the casino based on our decade’s long experience with casino gaming so that you always know that you’re getting the best! Check out our Jack and the Beanstalk instructions on what to look for when playing this NetEnt video slot. We examine every game symbol and provide detailed information on their worth and function. We also delve into more technical aspects such payout percentages, active paylines, bonus offerings, special game symbols and more in our in-depth Jack and the Beanstalk review. Remember the axe in the original story that cut the bean stalk down? Well here the Axe Symbol in Jack and the Beanstalk can be used in various combinations and on its own is worth 10 coins for 3 symbols in a row, 50 coins for 4 symbols in a row and 250 coins for 5 symbols in a row. The big and scary Giant Symbol in Jack and the Beanstalk offers a decent payout if you hit five of a kind and can be used in various combinations and on its own is worth 15 coins for 3 symbols in a row, 100 coins for 4 symbols in a row and 750 coins for 5 symbols in a row. The Goat Symbol in Jack and the Beanstalk may seem like nothing much but the humble goat can be used in various combinations and on its own is worth 10 coins for 3 symbols in a row, 50 coins for 4 symbols in a row and 250 coins for 5 symbols in a row. The Watering Can Symbol in Jack and the Beanstalk helps to make the beanstalk grow and can be used in various combinations to make your totals grow and is worth 8 coins for 3 symbols in a row, 30 coins for 4 symbols in a row and 125 coins for 5 symbols in a row. Jack is the hero of the story (or the villain depending on how you look at it) and the Jack boy Symbol in Jack and the Beanstalk is worth 20 coins for 3 symbols in a row, 200 coins for 4 symbols in a row and 1000 coins for 5 symbols in a row. This boy is one to look out for as five of a kind pays out pretty handsomely. The Ace Symbol in Jack and the Beanstalk can be used in various combinations and on its own is worth 6 coins for 3 symbols in a row, 25 coins for 4 symbols in a row and 100 coins for 5 symbols in a row. The Jack Symbol in Jack and the Beanstalk can be used in various combinations and on its own is worth 4 coins for 3 symbols in a row, 15 coins for 4 symbols in a row and 50 coins for 5 symbols in a row. The Queen Symbol in Jack and the Beanstalk can be used in various combinations and on its own is worth 5 coins for 3 symbols in a row, 20 coins for 4 symbols in a row and 75 coins for 5 symbols in a row. The King Symbol in Jack and the Beanstalk can be used in various combinations and on its own is worth 5 coins for 3 symbols in a row, 20 coins for 4 symbols in a row and 75 coins for 5 symbols in a row. The Ten Symbol in Jack and the Beanstalk can be used in various combinations and on its own is worth 3 coins for 3 symbols in a row, 10 coins for 4 symbols in a row and 30 coins for 5 symbols in a row. The Key Symbol in Jack and the Beanstalk symbolizes the treasure hunt, a core feature of the game. It can appear during free spin sessions on the 5th reel and adds bigger wins. Stack nine key symbols to activate the Golden Harp Expanding Wild feature. The Golden Harp Symbol in Jack and the Beanstalk is an expanding wild that covers an entire reel once 9 stacked key symbols are collected together. This will really make winning combinations not only easy but will also help to rack up big winning totals faster that you can say fee, fi, fo, fum! The Treasure Chest in Jack and the Beanstalk is the games Scatter symbol and three or more on the reels will give you 10 free spins, with the chance for additional free spins. The unique and very interesting Walking Wild Feature can be activated in free spins mode giving you even more free spins. The Walking Wild actually walks its way across the 5 reels, adding big wins in its wake. The Jack and the Beanstalk logo is the games Wild Symbol and also activates the Walking Wild feature. A special feature of the Wild Symbol is to travel to the left of the reels, one reel per spin and then disappear. 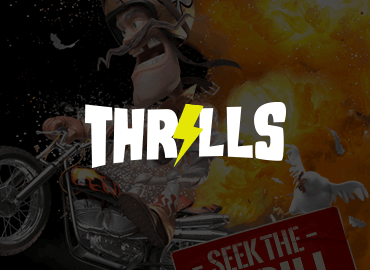 The Walking Wild feature stops all free spins until the Walking Wild feature is concluded. Jack and the Beanstalk features 20 fixed paylines which means that you cannot adjust the number of paylines that you want active in a spin, all 20 are active on every spin. The only thing that you can adjust is how much is on each of the 20 paylines. The coins values range from 1, 2, 5, 10, 20 and 50 and the minimum bet per line is 1 coin making your total minimum bet 20. Your maximum bet is 10,000 with the biggest coin size of 50 per line. This makes Jack and the Beanstalk ideal for general play and will suit a wide range of slots players from those looking for an entertaining a fun slot, to those looking for a good earner that is also won’t get boring after a few spins. The pay table for Jack and the Beanstalk is quite extensive as there are quite a few symbols and bonus games to consider. The minimum and maximum value of all standard symbols is listed and we have outlined them above. The pay table also contains Jack and the Beanstalk instructions for all possible payline and symbol combinations and corresponding payouts. The pay table also contains detailed information regarding some of the games intricate special features as the screenshot below illustrates. Watch our short video which demonstrates a number of gameplay aspects. While the video does not go into greater detail than the information that has already been provided in this Jack and the Beanstalk review, it is nevertheless interesting to watch the action and also get a good idea of how the game sounds. Enjoy! Ready to meet the giant? 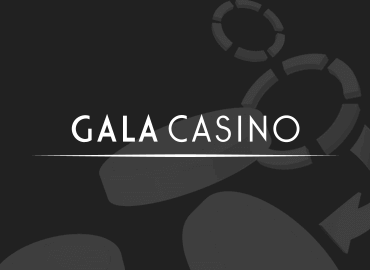 Check out our recommended Jack and the Beanstalk casino listings on this page or checkout our other casinos on our casino reviews page. We also offer in-depth bonus reviews. Jack and the Beanstalk offer awesome 3D graphics in a cool animated style that is the hallmark of NetEnt’s themed video slot designs. The graphics are sharp and crisp and the various animated characters and symbols are a pleasure to watch and play with. The sound is also superb and adds a sense of dramatic fun to the gameplay. Jack and the Beanstalk offer a Return to Player of 96.3% which is above average when compared to other games from other developers that are considered to be in the same class as this game. Jack and the Beanstalk is considered to be a medium variance game which offers fairly regular and steady payouts with a pretty respectable top end payout of 600000 coins! NetEnt offer one of the most sophisticated mobile gaming platforms in the industry simply called NetEnt Touch. The platform offers a wide range of the best NetEnt games including Jack and the Beanstalk with incredible HD graphics and ultra-smooth gameplay. All games are optimized for both mobile phone and tablet. While iOS and Android are still favoured, most new generation smart devices can log in via their mobile browsers without any issues. We love this game because it offers so much without the progressive jackpot as a selling point. The game looks fantastic and is super easy to play and to get into. Payouts are frequent as is the various bonus rounds which, on their own offer incredible entertainment and lucrative features. We would definitely recommend this 3D video slot to anyone who loves a fun and adventurous slot and you can try it for free at one of our recommended online casinos right here!